A visually stunning journey into the diversity and wonders of forests. 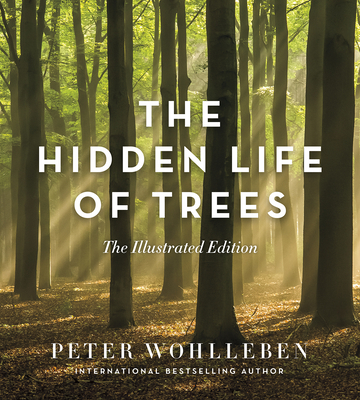 In his international bestseller The Hidden Life of Trees, Peter Wohlleben opened readers' eyes to the amazing processes at work in forests every day. Now this new, breathtakingly illustrated edition brings those wonders to life like never before. With compelling selections from the original book and stunning, large-format photographs of trees from around the world, this gorgeous volume distills the essence of Wohlleben's message to show trees in all their glory and diversity. Through rich language highlighting the interconnectedness of forest ecosystems, the book offers fascinating insights about the fungal communication highway known as the "wood wide web," the difficult life lessons learned in tree school, the hard-working natural cleanup crews that recycle dying trees, and much more. Beautiful images provide the perfect complement to Wohlleben's words, with striking close-ups of bark and seeds, panoramas of vast expanses of green, and a unique look at what is believed to be the oldest tree on the planet.